Our trade show banner stands, also known as pop up displays or retractables, are easy and convenient ways to have a portable exhibit solution. 2020 Exhibits even has a large selection of portable outdoor banners and display stands in various sizes. Each banner stand display comes with hardware, graphic panel and a canvas carrying bag. Additional options for all of 2020 Exhibits’ banner stands include a hard shipping case, lighting options, and a wheeled shipping case. What Can Portable Displays Do For You? The first impression a trade show attendee gets from a company comes from the visual displays. Make sure that impression is one of a knowledgeable business partner with one of 2020 Exhibits portable displays or pop up banner stands. Each of our lightweight and durable portable exhibits has a quick and easy installation process in addition to being retractable. 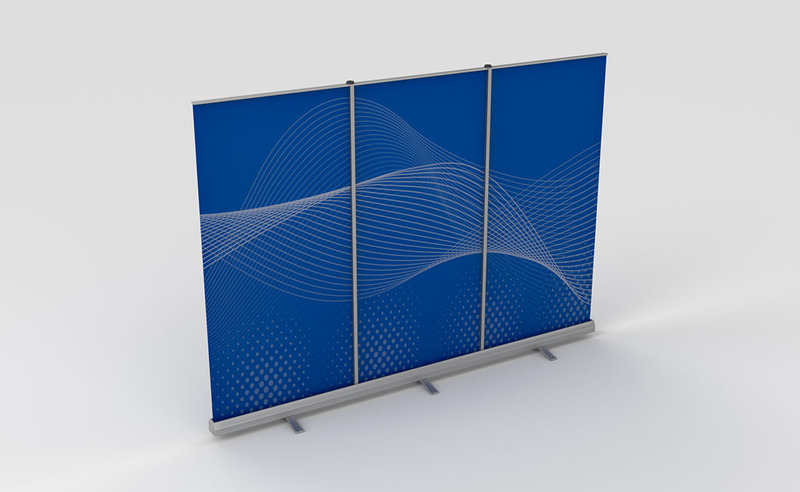 From tabletop and pop up banners to stand up banners and backdrop displays, 2020 exhibitions portable displays add functionality and style to any trade show exhibit. 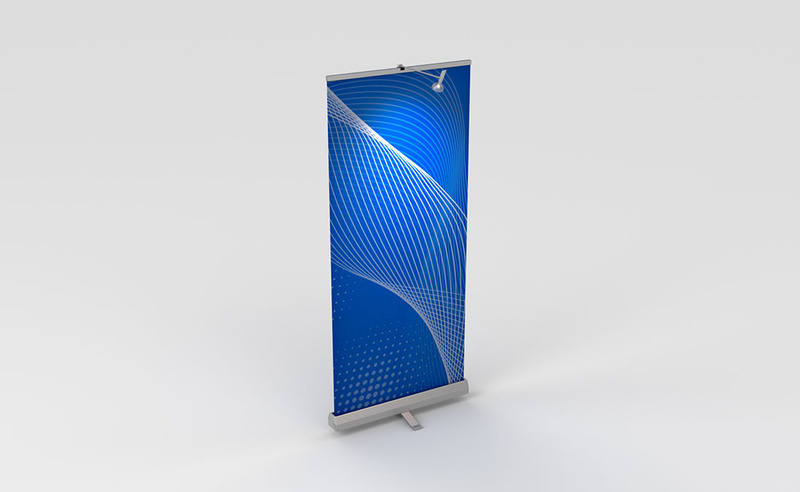 2020 Exhibits offers a light, traditional banner stand called the ImageMaxx 33. 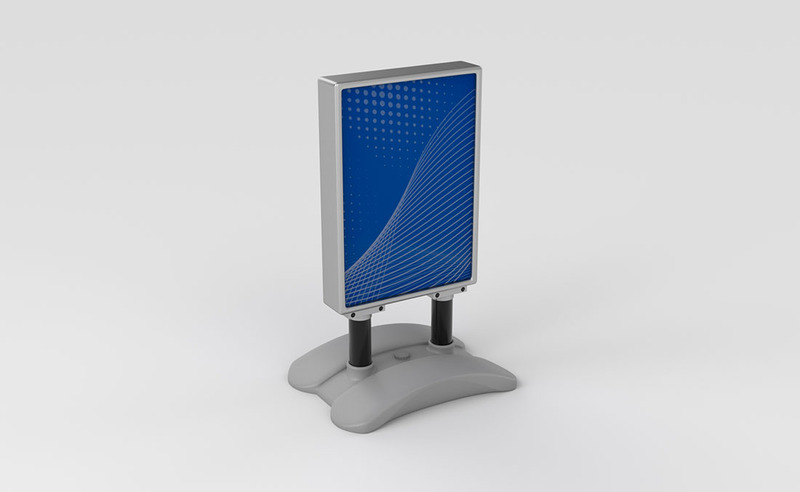 This standard, retractable display measures 33”W x 79”H and weighs approximately 9 lbs. The ImageMaxx 33 is a portable, pop-up that can be combined together to create a longer, backwall display. 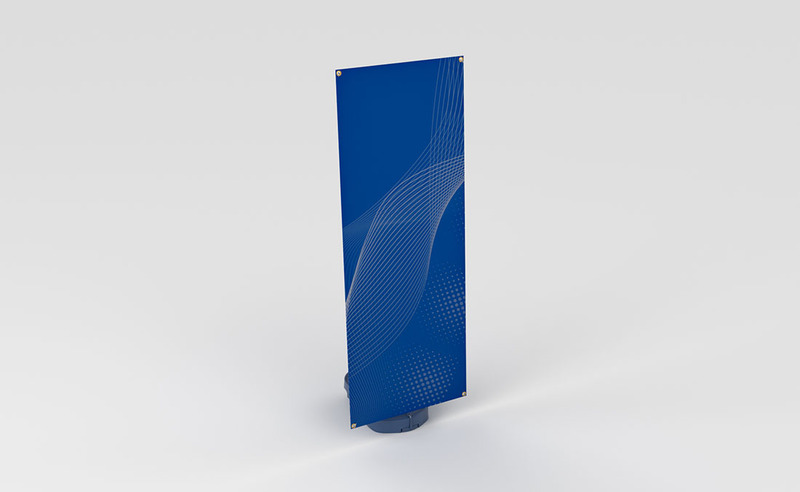 The Imagemaxx 33 Double-Sided is a retractable, two-sided banner stand. 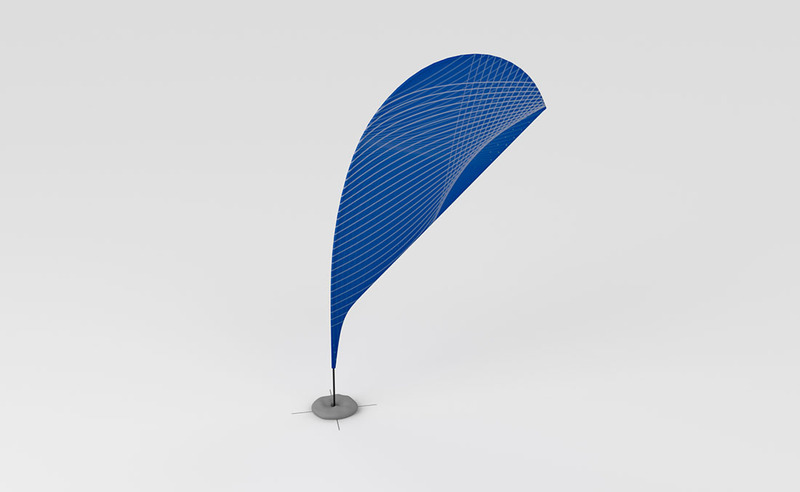 Dimensions for the portable banner stand are 33”W x 79”H, weighing approximately 11 pounds. The standard Imagemaxx 33 Double-Sided comes with retractable hardware, graphic panel and carrying bag. The Madmaxx retractable banner stand offers a wider portable display area, measuring 51.5”W x 79”H with a unique scissor design and weighing about 25 lbs. 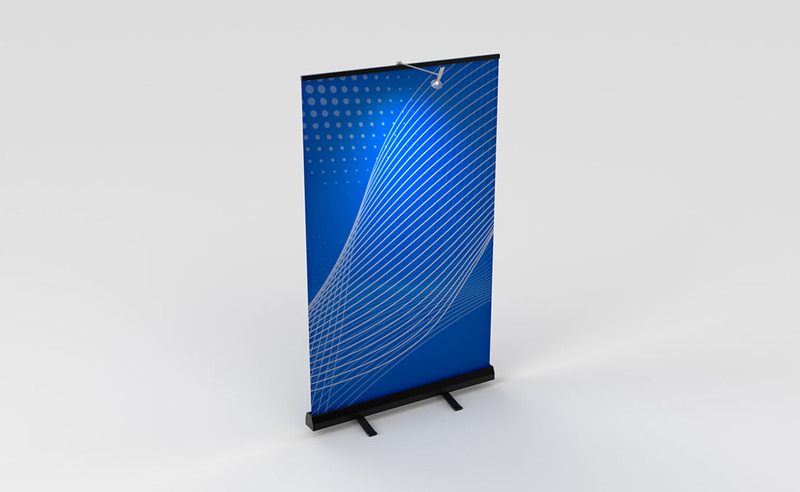 This pop-up banner stand comes with pull up and push down handle in addition to the standard hardware, graphic panel and carrying bag. 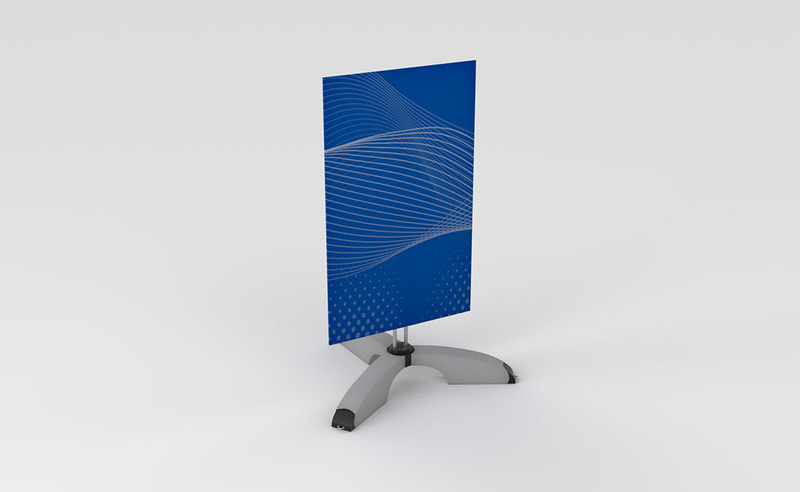 2020 Exhibits’ Minimaxx portable banner stand is a lighter option compared to the Madmaxx display, weighing approximately 18 pounds. Like the Madmaxx, the Minimaxx retractable pop-up display comes with a pull up and push down handle for easy set up. The Minimaxx measures 42.5”W x 79”H. Our Allure Fabric Banner is available in various shapes including slope left, slope right, fountain or bow. Weighing about 14 lbs, the portable Allure Fabric Banner includes tension fabric graphic, frame and carrying bag. Shelving and stand-off graphic options are available. The Banner Stand 10’ Backwall is a combination of three standard ImageMaxx banner stands side by side, creating a 10’ backdrop display. For easy portability, all the components fit into one shipping case with wheels. The entire display weighs approximately 30 pounds. Our Tabletop Banner Stand is the perfect solution for a great portable attention getter for your trade show exhibits and displays. With a graphic size of 8.123”W x 11.5”H, the cost effective, pop-up display could be used as a promotional give away at your exhibit. The retractable, tabletop banner stand will sit perfectly on your display table. 2020 Exhibits offers Change-out Cartridges for banner stands. The display cartridges are 39-3/8”W x 85-3/4”H, approximately weighing 13 lbs. Retractable hardware and a graphic panel are included and additional cartridges are available. Circular graphic wraps with shelving designed to showcase products. Features includes: fabric graphic wrap, lighting, shelving, graphic stand base. Metal frame for standing graphic banners. Features include: metal frame, collapsible, durable. 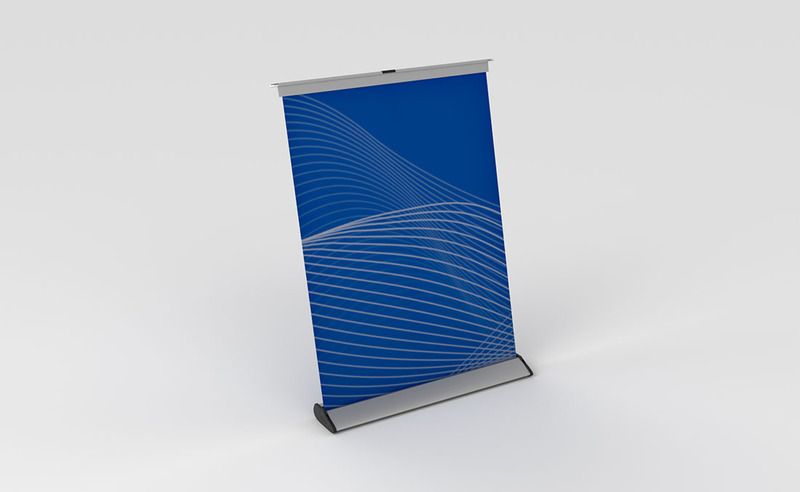 Collapsible single-sided graphic banner with stand and carrying case. Overhead lighting. Features include: graphic banner, banner stand, top lighting, carrying case and collapsible. Collapsible double-sided graphic banner with stand and carrying case. Overhead lighting. Features include: graphic banner, banner stand, top lighting, carrying case and collapsible. Extra-wide collapsible single-sided graphic banner with stand and carrying case. Overhead lighting. Features include: wide graphic banner, banner stand, top lighting, carrying case and collapsible. Tall rectangular outdoor graphic banner with stand and base. 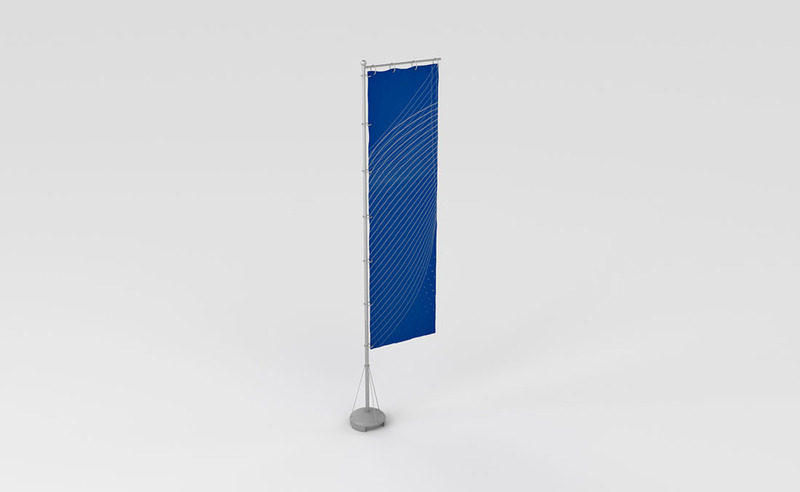 Features include: tall outdoor graphic banner, banner stand, banner stand base.